Designed for use in walls, basements, car trunks, and RVs. Solid steel plate with insurance B-rated construction. This safe also features a U.L. listed Group II combination lock. 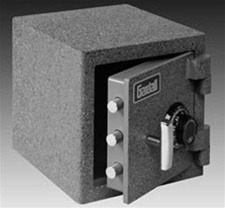 Door will interchange with many other Gardall Safes. 1/2" pre-drilled mounting holes in base.